Google's stock is down 9% from its all-time high but there's still room to fall before panic should set in. 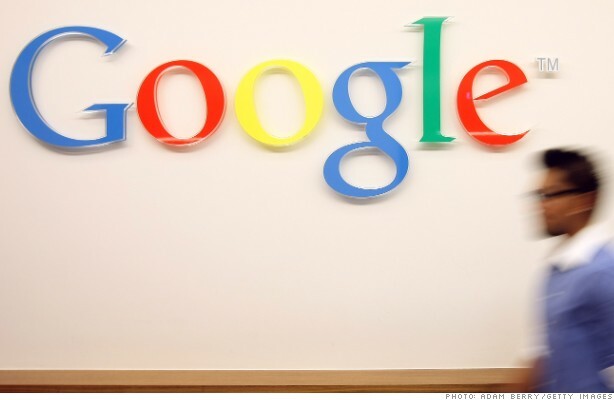 What helped propel Google (GOOG) in the first place? A report over the weekend from Barron's credits Facebook's (FB) botched IPO for Google's recent run. Seems counterintuitive but the disastrous debut reminded everyone of the dotcom craze (and ensuing crash and burn). As investors and analysts regained confidence in Google's search business, and its ability to turn a profit, the company became a dominant force, according to the Barron's article. So much so, that it helped knock Apple (AAPL) off its pedestal. Shares of the iEverything company are down 20% so far this year. In fact, Apple's stock has slumped nearly 40% from its all-time high of just above $700, hit last September. It might be too soon to say the bloom is off Google's rose, but StockTwits traders have turned cautious. CoderTrader may have spoken a little too soon. Granted Apple is only down fractionally today but it's gotten hammered this year. Maybe the next iteration of the iPhone will help turn things around. $GOOG lots of traders expecting a bounce early this week. Makes me wonder if we don't just blow through fri bottom unexpectedly. There's definitely a nervous vibe out there. But the old adage 'you can't buy something new 'til you throw something out' may be coming to fruition. Last month, Google announced it was shutting down Google Reader as part of its annual spring cleaning. Monday brought speculation that Google may be willing to pay $1 billion for mobile messaging app WhatsApp. And Google may also be getting ready to launch its second fiber optic network, Google Fiber, in Austin, Texas. Good call howardlindzon. It's way too soon to say Google is headed for a sustained slump. Hang in there. I couldn't agree more. We've seen stocks hit new record highs this year and we're not even 6 months in. I would expect pullbacks and mini-corrections across the board.